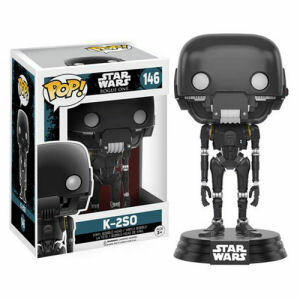 We have Just Sold out of Star Wars Rogue One K-2SO Pop! Vinyl Bobble Head. This Item is unavailable at present. From the Star Wars Rogue One Pop! Vinyl collection by Funko. Star Wars Rogue One K-2SO Pop! Vinyl Bobble Head. Measures 3.75 inches tall.